Pusheen is a pretty well-known little cat. She appeared on the internet in 2010 in a comic strip written by Claire Belton and Andrew Duff and by the time I realized she was a Thing with a Name, she was everywhere. (I’m culturally slow sometimes.) While the original creators continue to tell her story, others have created a vast array of fan art. 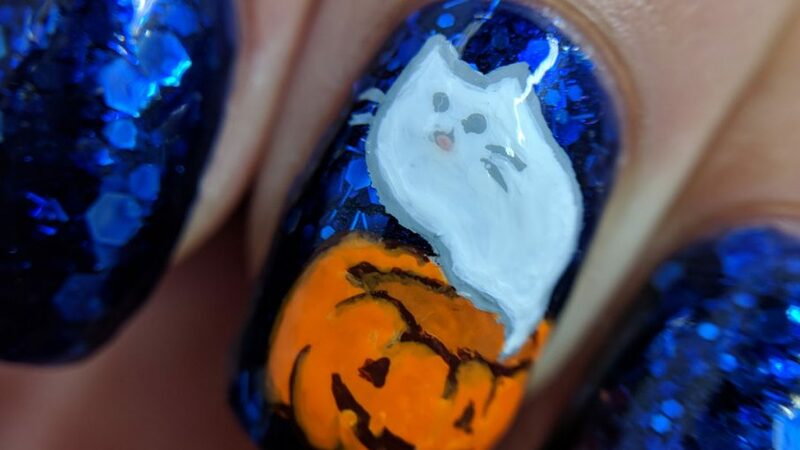 Meanwhile, in the nail artist world, no one paints Pusheen like Hannah (@hannah_nails_it). Her designs are so cute! And with every one she posted, I wanted to try my hand at Pusheen more. So I finally decided to try and paint one myself: a spooky Pusheen ghost. I…kind of succeeded? I think I made the head too large and that threw everything else off. Next time will be better. 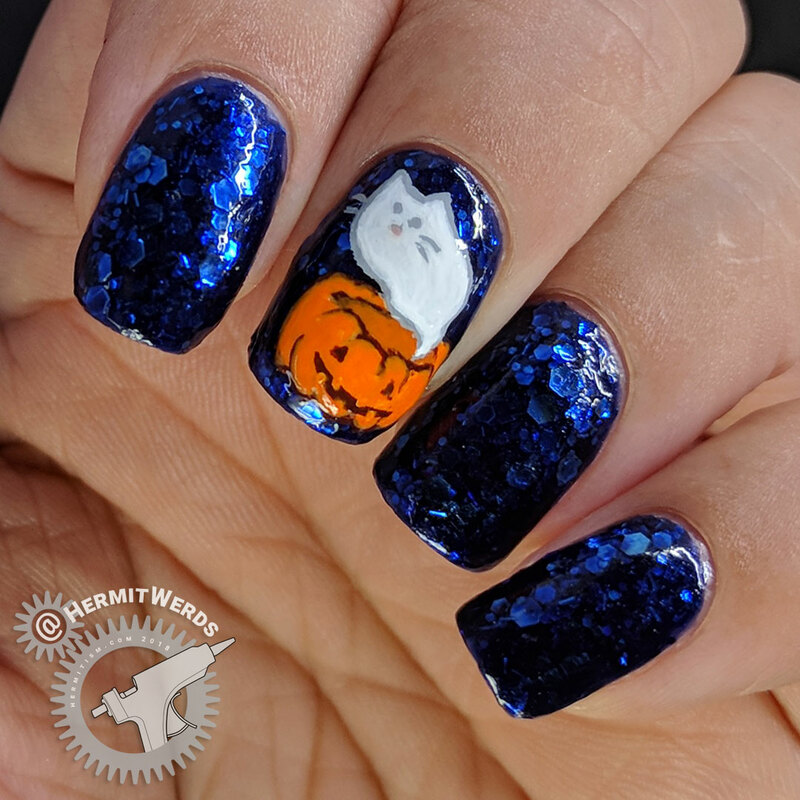 Ghost Pusheen and jack-o-lantern freehand painted with acrylic paint. I have three glitter-y jellies from Revlon that I’d used a few times before I started the blog and I’ve been meaning to get back to them for a while. They are so pretty. I love jelly polishes period and the glitter in them makes my heart happy. 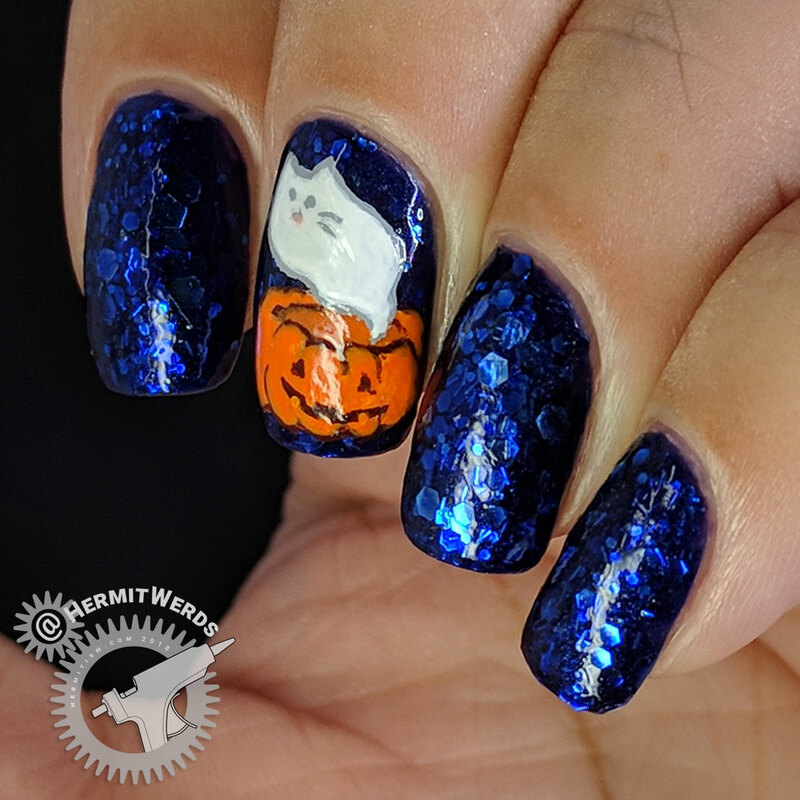 They do tend to be lumpy though… Anyway, I used the blue for Pusheen, the purple for my bat design and planned on using the teal with another Beauty BigBang stamping plate, but that plan fell through. So…I don’t know when I will use it. I painted this over a blue base and /gasp only fancied up one nail for #ColoursWithinWomen’s blue prompt. 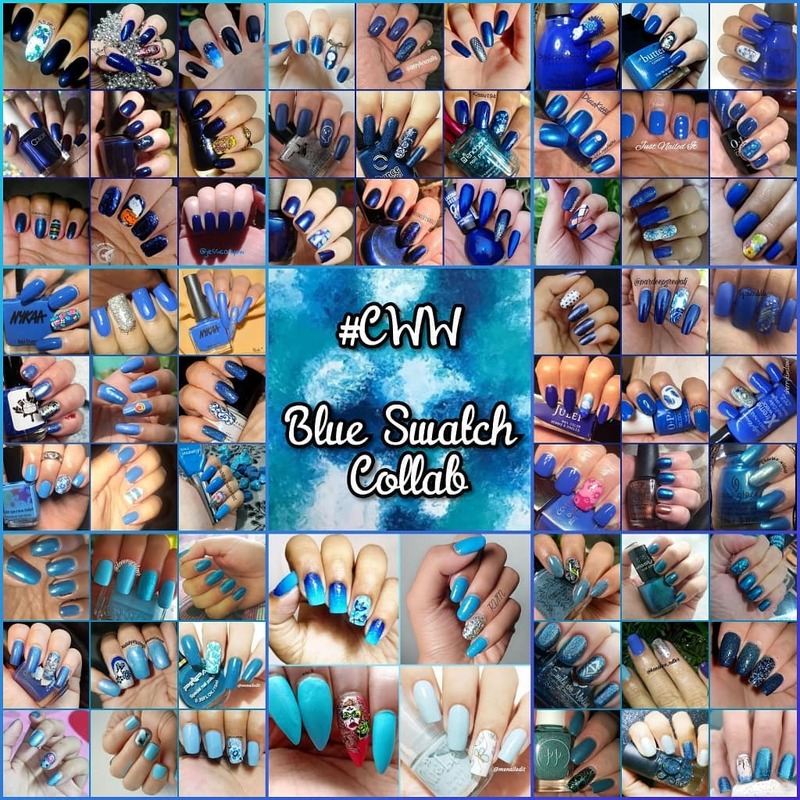 Check out the collage of all the beautiful nails (only some Halloween-themed) and go check out the group tag.